Coloring has never been so easy for little ones! 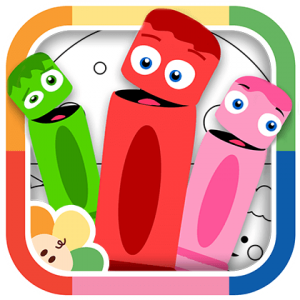 This creative art-based app allows children that may be too young to hold a crayon or paintbrush, to still enjoy the process of “coloring” and creating their own pieces of art! With a simply touch of the finger, babies and toddlers can pick different colors and fill in the pages of this interactive book featuring many of their favorite BabyFirst friends.